In Gaza things continued to be reactive. On Friday, IDF forces killed two Gazans and wounded at least 55 others who were demonstrating at the border fence. In response, Hamas' so-called ''nighttime unit'' announced Saturday that it would extend the hours of its noisy activity along the border between the coastal enclave and Israel "Our stance is clear, either they [Israel] lift the blockade [on Gaza] or [Israeli] residents of border communities evacuate," a statement by the unit read. Hamas' statement also comes as the organization faces rare protests over the high cost of living throughout the week. Meanwhile, the Israeli army said it struck in Gaza on Saturday afternoon, targeting cells that launched incendiary balloons toward Israel and wounding three people. Trump Once Again Proves He's Netanyahu's Private Santa Claus (Yossi Verter, Haaretz+) Gantz's hacked phone hasn't hurt his party, but Netanyahu's submarine affair may finish him – unless Trump saves him. And, Ayelet Shaked’s perfume video is her party's Hail Mary. Between videos clips and lies, the election campaign breaks all records of slime (Lilach Sigan, Maariv) The smell that is being carried in the air these days is not a democratic celebration at its best, but of propaganda without limits - on the right, on the left and in the center. The only loser is the citizen. What Shaked is selling smells more like anarchy (Limor Livnat, Yedioth/Ynet) The justice minister's new election campaign video is an anti-feminist piece that exposes many flaws in her 'revolutionary plan' for reforming Israel's judicial system; governance is good, but what she offers appears to be chaos. Benny Gantz Is Either Cowardly or Immoral (Gideon Levy, Haaretz+) Gantz has the image of a brave and principled man, an officer and a gentleman. But if he knows what should be done about the occupation and doesn't say it, he's a coward. Sane right-wing? The fear of the not crossing the minimum threshold pushes the politicians beyond the lines (Udi Segal, Maariv) Kahlon released a video showing his coalition partners in a straitjacket, but if the goal of the campaign is achieved and he enters the Knesset, these are the people with whom he is supposed to sit in the next government. For Netanyahu and His Ilk, Hatred Is Essential (Zeev Sternhell, Haaretz+) Jewish nationalism would be incomplete without hatred of Arabs. In Bibi's head: the research that explains Netanyahu's behavior (Yossi Melman, Maariv) "A narcissist with paranoid and authoritative strains”: Psychological studies that have analyzed the personality of the prime minister over the years show a number of recurring and worrying dominant traits. Netanyahu Heads Straight Into the Eye of the Mueller Storm. He May Repay Twin Brother Trump (Chemi Shalev, Haaretz+) The prime minister would welcome a presidential assertion that both are victims of a conspiracy and witch-hunt. Netanyahu talks a lot but does very little (Ben-Dror Yemini, Yedioth/Ynet) Prime minister's surprise interview with Channel 12 news - to try and stop the avalanche of accusations regarding the submarine affair - raises more questions than it provides answers. Submarines and 'State Secrets': The Red Flags in Netanyahu's Latest Version (Amos Harel, Haaretz+) The prime minister's surprise interview with Channel 12 was meant to resolve issues raised by Gantz's party. It did just the opposite. Submarine affair could sink the Blue and White party (Mati Tuchfeld, Israel Hayom) Case 3,000's revival may be keeping the focus away from Benny Gantz's hacked phone, this submarine may ultimately bring Blue and White down with it • A faux perfume ad indicates the next Knesset will focus its attention on the justice system. Pivotal battle in Gantz-Netanyahu showdown pits submarine vs. cellphone (Chemi Shalev, Haaretz+) 11 comments about scandals, boycotts and media bias in an election campaign evolving from divisive to repulsive. The hacking affair with Gantz's phone shows that he simply does not have what it takes (Haim Etgar, Maariv) Those who are not tough and aggressive and those who get upset about stories and by headlines, whether true or false, will never win the election campaign. Netanyahu and the submarine affair: Who said that this man is not a magician? (Ben Caspit, Maariv) It is possible that had it not been for the endless greed that was etched in the prime minister's genetics, the incredible coincidence of his holdings in the steel concern [in Texas] would not have been published. A Lost Decade Under Netanyahu (Zehava Galon, Haaretz+) Benny Gantz’s Kahol Lavan are focusing on the submarines affair, but should focus on the other failures and fiascoes of the Netanyahu decade. Netanyahu's decade: Could we be in a better place? And what will history remember? (Eyal Levy, Maariv) The social situation, the economic situation, the foreign relations with the Americans, the feeling of security, the Palestinians and of course the investigations - the main issues that characterized the prime minister's decade in power. Gantz refuses to be an alternative (Friday Haaretz Editorial) Why is a man presuming to offer an alternative to Benjamin Netanyahu’s rule unwilling to expose his position on the most critical issue in Israel? The role of “Kahol-Lavan” party is to open the blockage which is keeping Israel from going forward (Avi Benayahu, Maariv) The role of Kahol-Lavan will be to eliminate the blockage of trust in law enforcement institutions, in the IDF and in the state's audit, to open the blockage on roads and transportation, in hospital departments, in surgery lines, in the collapse of the health system, in nursing and in compassion. And also: Do not be surprised if the anger of the Gazan street is again directed at Israel. The High Court justices helped me decide who I would vote for in those elections (Kalman Liebeskind, Maariv) When the court disqualifies (Kahanist Michael) Ben-Ari, and at the same time grants an excellent standard of approval to [Arab] MKs who support terrorists and act to abolish Israel as a Jewish state, of course something here is screwed from the ground up. Israel Banning Kahanist Played Straight Into the Right's Hands (Noa Osterreicher, Haaretz+) The attack at Ariel junction and the Supreme court ruling disqualifying Kahanist Ben Ari but allowing Balad and Cassif is good luck for Bennett and Shaked. The judges are the true rulers (Dror Eydar, Israel Hayom) The High Court's ruling, barring a far-right candidate while allowing far-left candidates to run, harmed freedom of expression and the public's sense of justice. Opinions, however offensive, should not be policed unless they explicitly call for violence. Michael Ben-Ari's disqualification (from running in elections): The High Court of Justice became a significant shareholder in Netanyahu's next victory speech (Attorney Yoram Sheftel, Maariv) The 2019 elections: The inevitable result of the High Court ruling will be a popular uprising against the High Court of Justice, which will be reflected in the influx of the Zionist, national and patriotic masses of Israel on Voters’ Day. Why I am not voting when Israel goes to the polls (Yair Katan, Yedioth/Ynet) I am not willing to cast a ballot for this current crop of scandal-mongers, gossips and PR-obsessed dilettantes who are tearing the country apart - don't we deserve better? U.S. media finally discovers Netanyahu-Trump similarities – and pro-Israel groups are worried (Amir Tibon, Haaretz+) Growing number of national news outlets are highlighting resemblance in tactics being employed by Netanyahu and his friend in the White House. Overt racism among Israeli officialdom (Elyakim Rubinstein, Yedioth/Ynet) The theme of International Day for the Elimination of Racial Discrimination in Israel should be centered around attempts to eliminate racism and prejudice from running amok in governmental ministries in the country and even the Knesset. 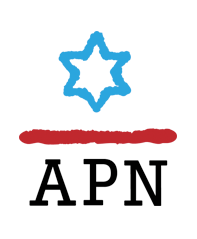 Netanyahu's speech: Today's AIPAC is not what it used to be (Shlomo Shamir, Maariv) A speech at AIPAC? A meeting with Trump? On his visit to the United States, Netanyahu must work to restore relations with the Democratic Party and the Jewish community. Israel's Submarine Affair Was Already Serious. Then Netanyahu Opened a Pandora's Box (Amos Harel, Haaretz+) Many former security officials describe the affair as the most significant corruption scandal Israel has known. When Netanyahu asked to raise funds for his legal defense, the plot thickened. Netanyahu came to the studio to sink the submarine affair, but again he became embroiled in lies (Ben Caspit, Maariv) The prime minister admitted that he had authorized the Germans to sell sophisticated submarines to Egypt, on the pretext of a secret that must also be hidden from the defense establishment. Netanyahu Dropped by for a Surprise Interview. He Won't Do It Again (Yossi Verter, Haaretz+) In his impromptu Channel 12 appearance, the prime minister rediscovered something he has forgotten in recent years: Not all interviewers are parrots dutifully reciting the questions dictated to them. Netanyahu must be questioned under caution in submarine affair (Ehud Barak, Haaretz+) Netanyahu committed breach of trust in the holy of holies of Israel’s security systems, raising heavy suspicions of bribery and criminal wrongdoing. The Golan Heights First (Haaretz Editorial) Trump gave Syria and its allies a renewed pretext for possible military action. How the Syrians lost the Golan (Prof. Eyal Zisser, Israel Hayom) Faulty assumptions that time was on Syria's side, along with Assad's utter dependence on the will of his masters in Tehran, led Trump to declare American recognition of Israeli sovereignty on the Golan Heights. The path to Trump's Golan declaration starts with a Texan entrepreneur (Aluf Benn, Haaretz+) America's energy independence has enabled Trump to shatter foreign policy taboos without concern for angry reactions from the Persian Gulf states. But will other countries follow suit? Affirming an ancient bond (Haim Rokach, Israel Hayom) In the 52 years that have passed since we acquired the Golan Heights, 34 ancient synagogues from different points in history have been discovered there, far more than anywhere else in the country. Trump’s Golan Tweet Brings U.S. Back to Syria Through the Back Door (Zvi Bar'el, Haaretz+) More than just crude intervention in the April 9 election, Trump’s promise to recognize Israeli sovereignty in the Golan Heights is a slap in the face to Putin, and a show of force against Iran. Bracing for Gaza’s ‘million man march’ (Alex Fishman, Yedioth/Ynet) The West Bank is at a boiling point, the Palestinian economy is weak and the motivation for terror attacks high, and now Hamas is planning its biggest demonstration ever to mark the anniversary of the ‘March of Return’; Israel fears events may spin out of control with dozens of casualties and a possible military confrontation. Calculated Risk (Jacky Khougy, Maariv) Why did the IDF clear Hamas from blame? Why did the parties rush to close the event? 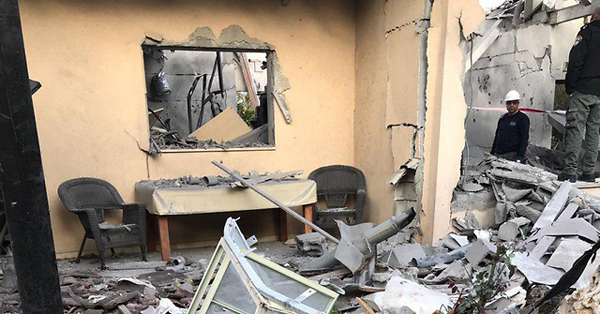 Why did Hamas fire in the first place? The Gaza problem was never so complicated. Let’s talk about the one-state solution (Ureib al-Rantawi, Yedioth/Ynet) Decades of futile peace negotiations prove that the two-state solution has failed and Trump’s ‘deal of the century’ will not change this. It is time to take another look at a one-state solution that will offer full equality to all its citizens. The fumes of gas in the air are enough to ignite confrontations that Abu Mazen is not interested in (Tal Lev-Ram, Maariv) Abu Mazen's refusal to accept tax revenues from Israel could lead to an economic collapse of the Palestinian Authority and the set the area on fire. Meanwhile, Israel is also flexing its muscles. Gaza negotiations are futile; conflict is inevitable (Alex Fishman, Yedioth/Ynet) The clock is ticking toward another military confrontation in Gaza as militants demand cash and generous economic concessions but are not willing to offer Israel any concrete guarantees regarding security and the Israelis being held hostage in the Strip. *The last of the giants (Ronen Bergman, Yedioth/Ynet) Rafi Eitan was creative, controversial and dedicated to Israel's security; in the early years of the state, he devoted his life to ensuring that Jewish blood would never again be spilled with impunity. With Victory Over Islamic State, a New War Begins (Zvi Bar'el, Haaretz+) While hundreds of thousands of displaced Iraqis and Syrians face an uncertain future with no international help in sight, ISIS is likely to copy Al-Qaida and set up new strongholds around the world. The massacre in New Zealand: Racism is the lot of all of us, not only of the heinous murderers (Prof. Rafi Carasso, Maariv) Fifty Muslims were slaughtered in New Zealand only because they were different from a “white,” who decided he was better than they are. Once this view is given political power, which leads to discrimination and violence - it must be fought. Israel can overcome its greatest trials (Tamar Asraf, Yedioth/Ynet) The Jewish state has achieved far more impressive gains in situations in which we need to make a little more effort, that push us far out of our comfort zone, and we should embrace this quality for it makes us who we are. New York Times rewrites history of Jaffa (Tamar Sternthal, Israel Hayom) In response to a claim that a feature article on Jaffa ignored the city's Arab history, editors "corrected" it with the misinformation that most Jaffa Arabs were forced out in 1948. ‘Kushner, Inc.’ — a Book You Can Judge by Its Cover (Adrian Hennigan, Haaretz+) Two average people born into wealth and dysfunctional families, who worked in their fathers’ real estate empires with various levels of failure, before ultimately lucking into the ultimate D.C. location…If there is a reason to pick up a copy of “Kushner, Inc.,” other than to swat a fly, it probably is for those little snippets about Israel and the Middle East. Certainly, one thing the book makes abundantly clear is how much Kushner loves Israel. For example, after he bought the New York Observer, the book details how he wrote a manifesto on what the weekly should be about. “It was, like, four pages long, and two of them were about Israel. I thought that was bizarre,” then-editor Elizabeth Spiers is quoted as saying, noting that until then, the New York Observer had, reasonably enough, always been about the Big Apple…Take this excerpt describing a fundraising meeting between Bannon and the rest of the Trump team with GOP billionaire Sheldon Adelson in August 2016, a conversation that “centered” on Israel. “Adelson’s chief concern was that the next U.S. president move the U.S. embassy in Israel to Jerusalem. Not even Yair Netanyahu can stop 'The Bride from Istanbul' (Zvi Bar'el, Haaretz+) Turkish TV series are now broadcast in some 150 countries, leaving the Egyptian industry in the dust.